I’ve discovered a few things about the Markoskis during the 1930s since I last wrote about them. One is about great-uncle Stephen Markoski. I wrote that he moved to Springfield, MA in 1931; at least, that is what the 1931 Holyoke Directory said. I don’t actually show him living in Springfield until 1933. My mom, in talking about my grandfather’s Brooklyn years, maintained that the family moved to Brooklyn to be with Stephen. So perhaps he was the one who led the family out of South Hadley. The second item is about Doris. I found out when she married John Mieczianka: November 26, 1933 in Suffolk County, NY (which is where Riverhead is). So it is likely through Doris’s marriage that the Markoskis made their connections in Riverhead. The Markoskis, their unmarried children and Doris and husband John returned to Holyoke, Hampden country, MA in 1936. This time they are listed with Americanized names: Stanley and Joan. They rented a house in a more residential part of Holyoke: 9 Olive Street, yet it wasn’t too far from the old neighborhood and their church. In addition to Max and Doris, the other Markoski children began marrying and starting their own families. Stephen, who remained behind in Springfield when the family moved to Brooklyn, married Josephine L. Pawelec by 1933. Robert, having graduated Williams College, married Ingrid Benson and started his teaching career under the new surname Marr at Vermont Academy by 1935. I suspect that Anita, like her younger brothers, met her future husband while in Riverhead, Suffolk County, NY; she married Stephen Hornyak in Manhattan, NY on November 14, 1936. Just a month later, Charles married his high school sweetheart Janet M. Benjamin on December 22 in Manhattan as well. (I assume that Charles must have been on winter break from Williams College.). Last (and definitely not least! 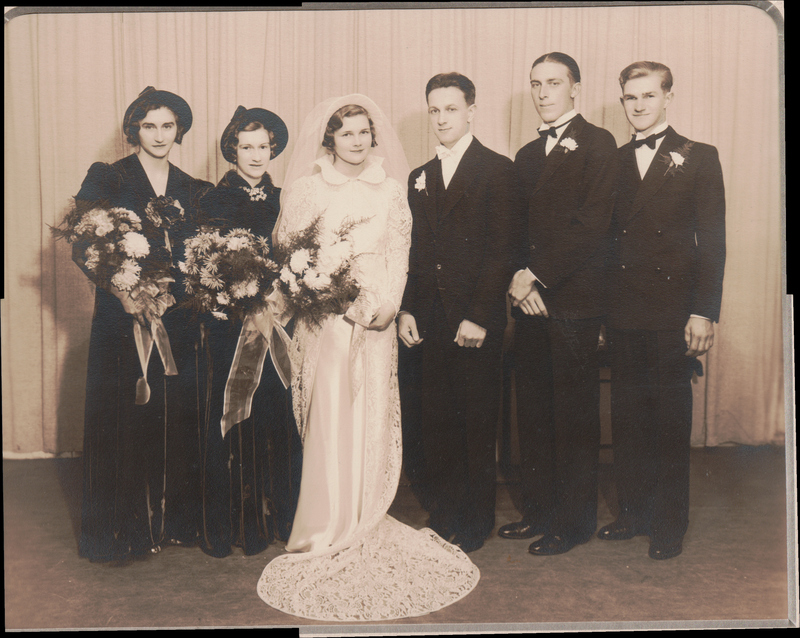 ), my grandfather Bruno married my grandmother Viola Alice Biliunas in Riverhead on November 27, 1937. Viola Biliunas + Bruno Markoski, flanked by their wedding party (no other Markoski’s here). Author’s collection. Being in the midst of the Great Depression, Stanislaus’ employment at this time was uneven. In 1936, he worked for the WPA. (I wish I knew in what capacity!). Once 1939 rolled around, employment was more steady. The city directories until 1942 listed him as an “inspector” in Chicopee Falls. Since the 1940 Census listed him as a sweeper in a rubber factory, I suspect that he was back at Fisk Tire. From 1943 until 1945, Stanislaus was an inspector then a janitor at “WP&M Corp”, which was back in Holyoke. I haven’t found out what WP&M stood for or what the company was; I’ll have to ask about that on Facebook. The 1946 city directory shows “Stanley” and “Joan” as “removed to New Jersey”. To me, this is an even bigger mystery than Brooklyn. If they did in fact move to New Jersey, it would have to be in connection with Doris or Anita, but I cannot confirm it one way or another. One thing I can confirm is that they eventually lived with Doris in Riverhead. Stanislaus somehow became bedridden, and it was at this bedside that my mother visited with him. In 1949, Stanislaus passed away and was laid to rest in Mater Dolorosa Cemetery in South Hadley, Hampshire County, MA. Johanna was not to join him for another two decades, and we’ll look at her story next time. Stanislaus Markoski: Where Did He Go? We last saw the Markoski family leaving the farm in South Hadley, Hampshire County, MA around 1931. The Holyoke-South Hadley-Chicopee directory said they “removed to Brooklyn”. This was news to me and didn’t seem to fit what I knew about the family. Yet, Stanislaus and Joanna didn’t return to the Holyoke area until 1936, so they had to be somewhere! I had to cast my research net a little wider and view them in the context of their whole family. The children were growing up and beginning to live their own lives. Oldest son Max moved back to Holyoke about 1928, which is when I assume he married Catherine Harazmus. Stephen began work as a rubber worker (I assume at Fisk in Chicopee) about 1927 then moved to Springfield in 1931. Robert, an outstanding athlete in high school, began attending Williams College in Williamstown, Berkshire County, MA in 1930. Doris worked as a “tuber” in an auto tire factory (probably Fisk) and Anita was a waitress. Youngest sons Bruno and Charles started high school in South Hadley and got involved in sports like their older brother. It was in October 1931 when my grandfather Bruno’s life changed dramatically. While playing football for Central High School in Springfield (why he was there, I don’t know), he had a terrible injury that gave him a serious concussion and hospitalized him at Wesson Memorial Hospital. As a result, he took some time of from school, presumably to fully recover. I imagine that the combination of Bruno’s hospital bills and other effects of the Great Depression had an impact on Stanislaus’ and Johanna’s finances, and perhaps they could no longer sustain the farm. This is only a guess. But what would make them move to Brooklyn or anywhere other than the Holyoke area? First of all, despite me not being able to find them in any records there (yet, anyway), the Markoskis did spend some time in Brooklyn. Apparently my grandfather told my mother that this period of his life is when he became a New York Yankees fan. He’d said he was able to see them play–and this was when both Babe Ruth and Lou Gehrig were on the team! As far as why they moved, I may never know for sure, but I believe it may have something to do with daughter Doris. Sometime in the early 1930s, she married John Miezianka. I was told that my grandfather lived with her in Riverhead, Suffolk County, NY (in eastern Long Island) to finish high school. I recently found out that Charles went to high school there as well! (And both met their future wives there.). It only follows that Stanislaus and Johanna lived there too. Both Bruno and Charles had a successful time at Riverhead High. Because of his injury and subsequent time off, Bruno graduated later (1934) and was president of his class. I imagine that being older than his fellow classmates gave him a certain maturity that they looked up to. Charles graduated the year before and was secretary of his class, involved in sports and drama and was the class poet. Charles, like Robert, was able to go to the college prep school, Deerfield Academy and later to Williams College (I assume on athletic scholarships). My grandfather, whose sports career was long over, went into the working world. After about five years in New York, the Markoskis returned to Holyoke, but their lives were to be much different from their first arrival there. For whatever reason, Stanislaus Markoski stopped working for Lyman Mills about 1914; however, mill work was not over for him. The 1915 Holyoke Directory lists him as working at Norman Paper Company, but that was short-lived. He then worked for Parsons Paper Company from 1916 to at least 1922. Parsons Paper was founded in 1853 and established its second (which later became its main) plant on Sergeant Street, right between the two canals. 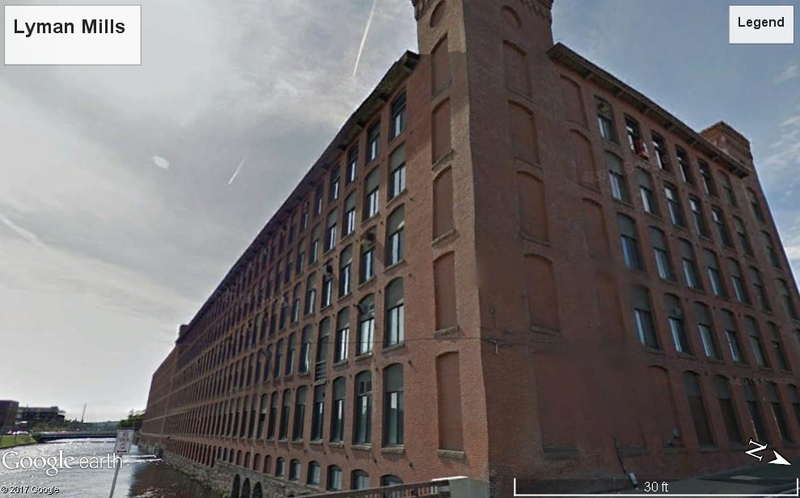 It was th first of many different paper mills in Holyoke, which became known as “Paper City”. Parsons’ specialty was high-quality paper – the kind of paper with cotton in its fibers. The company that Parsons ended up merging with went bankrupt in 2005 and the mill closed its doors. In 2008, the building burned down due to arson. Parsons Paper Company 1909. Courtesy Library of Congress. Stanislaus’ 1918 World War I Draft Registration said that his occupation was “paper maker”, so I am sure that he was in the thick of mill operations. Unlike Lyman Mills, Parsons Paper did not seem to run its own tenements for the workers, so the Markoskis began living in different apartments and houses in the neighborhood: on Prospect Street, Walnut Street, 29 and then 30 Fountain Street for five years. 1927 marked a big change for the Markoski family: they moved from their home at 101 Walnut Street in Holyoke to a small farm in South Hadley (across from the river), at the corner of Lathrop and Brainerd. (Side note: I remember going for a ride through South Hadley with my grandparents, and my grandfather pointing out where they had lived. It was kind of rural even then.) From 1927 to 1930, the city directories listed Stanislaus as a “rubber worker”, and the 1930 Census listed him as a farmer. (Perhaps his side-line was farming?) I don’t think South Hadley had any rubber factories at the time, but its neighbor to the south, Chicopee, was the headquarters of Fisk Rubber Company, which made tires. My guess is that where Stanislaus was employed. 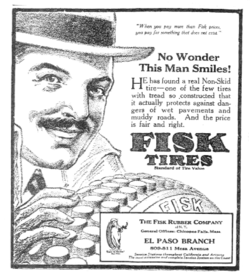 I love this 1917 ad for Fisk Tires! Courtesy Wikipedia. The 1931 City Directory stated that Stanislaus and Johanna had “removed to Brooklyn” – but did they? And why would they move from this peaceful little farm? Tune in next time! When I first glanced over Stanislaus’ life, I thought I could make a quick post about his life in Holyoke. Was I wrong! I started seeing his life in sections, and it’s only fair to him that I go one step at a time. 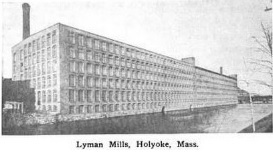 Lyman Mills Corporation was founded in 1854, just four years after Holyoke was incorporated as a city. 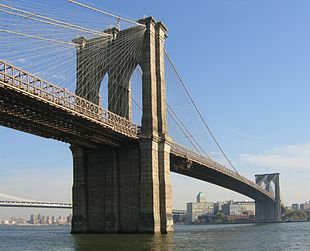 It was built between two of the canals that were carved into the city off the Connecticut river, along Lyman Street. It specialized in textile making for both fine and coarse goods. Lyman Mills also built tenement housing next to the factory for its workers. It grew quick enough for an expansion in 1891 and was employing 1,200 workers by 1900. Many of its workers were immigrants from Poland, French Canada and Ireland. It seems that Stanislaus was one of those workers hired during this growth spurt. Lyman Mills, circa 1921. Courtesy “Textile World” in Google Books. Stanislaus first shows up in the Holyoke City Directories in 1895, working at Lyman Mills and living in one of the tenements at 18 Oliver Street. I suspect that it was at the mill where Stanislaus met his future wife, Johanna Gazda. The register where their 1896 marriage is recorded indicates that both lived in Holyoke and both were “mill operators”. 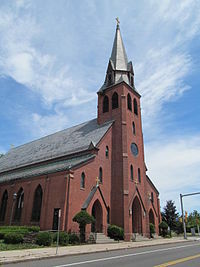 As previously mentioned, they were married either on June 30 or July 1 (I suspect it was June 30–that register even includes a time married: 6:55pm) in Holyoke by Father Francis Chalupka of Chicopee, who presided over the Polish Catholics prior to September 1896 formation of Mater Dolorosa Church. It would not surprise me if they were among the first members of the church, which first met in the basement of the Holy Rosary Church. I’m not sure where Holy Rosary Church was, but eventually in 1901, Mater Dolorosa was built on the corner of Maple and Lyman Streets, just a few short blocks from the tenements. Mater Dolorosa Church. Courtesy Wikipedia. Max (Mieczyslaw), born April 2, 1899. Stephen G., born June 16, 1901. Joseph, born February 15, 1903 and died November 19, 1903 from meningitis. He supposedly is buried at Calvary Cemetery in Chicopee. Edward I., born October 16, 1904 and died May 30, 1913 from some sort of complication from scarlet fever. His death certificate says he is buried at Notre Dame Cemetery in South Hadley, but they don’t seem to have a record of his burial. Doris M. (Domilla or Domilly), born December 6, 1907 in Polish Austria. Robert P. (Roman? ), born March 19, 1910. Anita F. (Antonia), born July 11, 1912. Bruno August (Bronislaw), born December 19, 1913. Charles D. (Casmir), born January 30, 1915. I just wanted to note that in the 1910 Census, while Stanislaus and Johanna already had five living children, they took in six additional boarders! Needless to say, the tenements were quite crowded. As written in many history books, work at the mills was hard. Workdays often spanned over twelve hours, and I’m sure the pay, however fair, was not high. With those long exhausting days, I’m surprised that Stanislaus had enough energy to build such a large family! 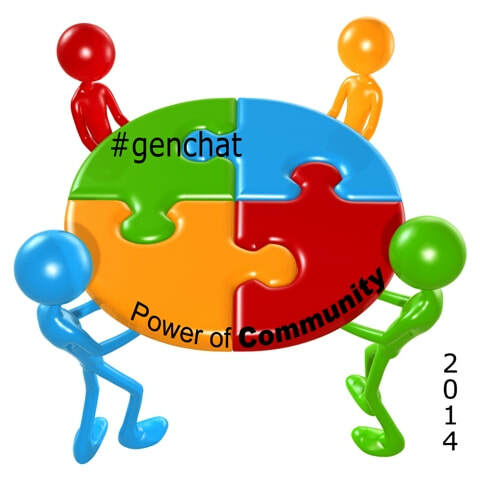 Eventually, he found other nearby opportunities, which we will start to look at in the next post. Lyman Mills building today. Courtesy Google Earth. Research Notes: Lyman Mills eventually closed in 1927, although the mill buildings are still standing. There is an extensive collection of Lyman Mills corporate, financial and other records in Harvard Business School’s Baker Library Historical Collections, including employment and tenement records. Wistariahurst Museum in Holyoke also has some records about Lyman Mills’ housing. If I’m in either of these areas, it is probably worth a look. For the past nearly three years, I’ve written about my father’s side of the family. Here is where much of the low-hanging fruit is, though I can’t say I’ve exhausted everything on that side, especially descendant research. We can always come back to that later. 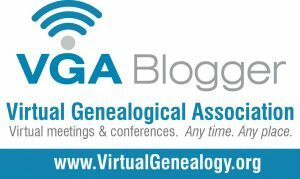 Now it’s time to look to my maternal ancestors, which are much, much harder to trace back. They are all Eastern European! The paternal side is Polish and the maternal side is Lithuanian. I decided to start with my grandfather’s father, Stanislaus Markoski. Because he is somewhat of a brick wall, my pace is going to be slower and more analytical. Stanislaus Markoski is the name of my great-grandfather that I grew up knowing. However I’ve seen his first name also recorded as Stanislaw, Stanislawa, and later (in the 1920 census and directories from 1936 onward), Stanley. His last name has also been spelled Markocki, Markowski and Markocka. This makes for very challenging record-searching! Here, we will just call him Stanislaus. If Stanislaus himself was certain of his birthday, it was November 24, 1875 (according to his World War I draft registration) in Polish Austria. His parents, according to his American marriage record, were John Markoski and Marie Pytel. He had black hair, grey eyes and was medium weight as an adult. He was considered to have a sixth grade education. Stanislaus immigrated to the United States sometime around 1893-1894. On either June 30 or July 1, 1896, he married Johanna Gazda in Holyoke, Hampden County, MA. Holyoke, Hampden County, MA is where Stanislaus spent the majority of his adult life. There was a period in the late 1920s when he and his family were living in nearby South Hadley, Hampshire County, MA and a brief time after 1931 when they lived in Brooklyn, Kings County, NY (which was complete news to me!). His occupations included a textile mill labor, butcher, laborer in a paper mill, ticket agent for a steamship company, farmer, and a sweeper in a rubber mill (we’ll revisit all those more slowly later). Holyoke, MA in 1900. Courtesy Library of Congress. Though he died when my mother was just a little girl, my mother remembered him as having a collection of smoking pipes (like his son, my grandfather, did) and he would give her a nickel each time she would visit. Stanislaus died in 1949 and is buried at Mater Dolorosa Cemetery in South Hadley.